Looks like the only queer New Year's Party being advertised is the Meet Market's Party. With an entrance of only 10,000 won (and right next to Hongdae park where I can enjoy a bottle of outdoor makkeoli) this looks like it could be a pretty cheap way to start the New Year. It may be a bit on the packed side so they are advising people to get their early. If you’re new to South Korea, you’ll notice the hundreds of specialty shops that dot the city streets that offer more goods and gifts you could ever hope to buy for yourself. A great way to take advantage of these amazing shops and indulge in their wares is to immerse yourself in the rich tradition of gift-giving. Many Asian cultures value modesty and graciousness as staples of their culture, and South Korea is no different. This translates into the gift-giving culture as a wonderful way to express gratitude towards others who have shown their kindness. If you are new to the culture, here are a few tips to help your gift-giving in South Korea go smoothly. In South Korea, you will find a Manoffin cafe at almost every subway station. Say What?! Episode 2: That’s a Holiday? It's good being a girl in Korea when White Day rolls around. White Day happens on March the 14th, exactly a month after Valentine's day, which is no coincidence. Apparently Valentine's day is solely for women to give the men in their life a gift of chocolate. A month later, the men are expected to return the favor, three fold. 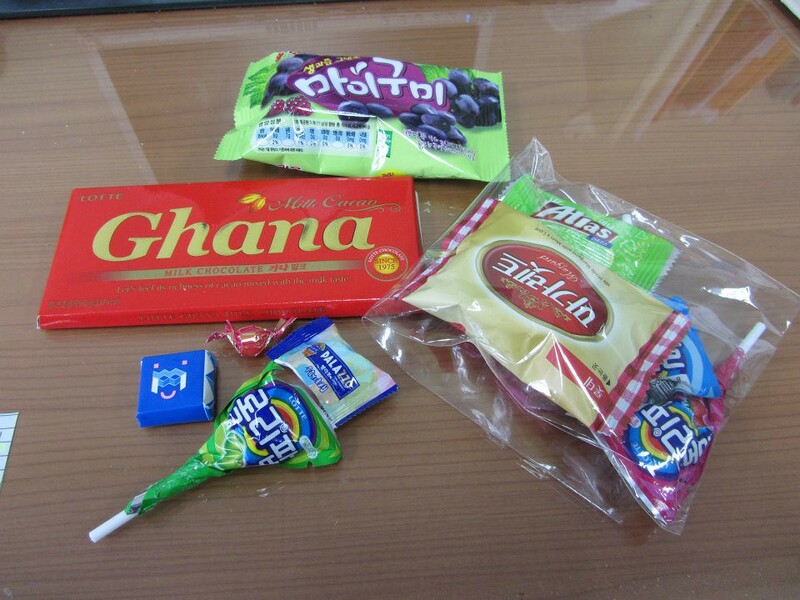 It's also tradition in Korean schools for the students to share presents with their friends. As Elementary school teachers, we were incredibly lucky and got showered by gifts from the children. Mostly they gave lollipops or small bits of chocolate, but other students had prepared goody bags filled with a mixture of things. I have so much that I want to share about my recent trip to Cambodia, that I really don’t know where to start. I guess I could have started at the beginning, (I remember hearing that it’s a very good place to start) but talking about how I got super sick on the plane didn’t seem that exciting. Instead, I decided to start with Christmas.